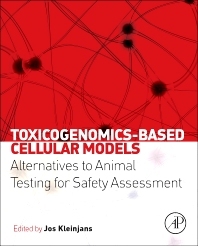 Toxicogenomics-Based Cellular Models is a unique and valuable reference for all academic and professional researchers employing toxicogenomic methods with respect to animal testing for chemical safety. This resource offers cutting-edge information on the application of toxicogenomics to developing alternatives to current animal toxicity tests. By illustrating the development of toxicogenomics-based cellular models for critical endpoints of toxicity and providing real-world examples for validation and data analysis, this book provides an assessment of the current state of the field, as well as opportunities and challenges for the future. Written by renowned international toxicological experts, this book explores ‘omics technology for developing new assays for toxicity testing and safety assessment and provides the reader with a focused examination of alternative means to animal testing.